The Anhänger (1-achs.) 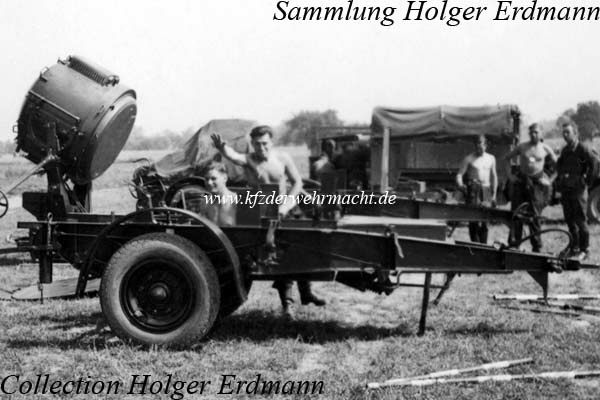 für 110cm Scheinwerfer - trailer one-axled for 110cm searchlight - (Sd. Ah. 2) was used for the transportation of the 110cm Scheinwerfer. The 110cm Scheinwerfer originated from WW 1. The Reichswehr continued to use several exemplars of this searchlight type, which were later taken over by the Wehrmacht.